Choosing The Right Dog Breed For Your Lifestyle. If you're considering getting a new dog and are curious about the types of breeds that would be best for you, you're already doing better than most. Many people don't stop to consider the dramatic differences in behavior and costs of different dog breeds. Starting your path to pet ownership with research into breed types is a great way to ensure you get the dog that is best suited for you and your family. There are a handful of factors that go into the process of selecting the right breed of dog for your life. Things to consider include how well the breed gets along with children, general energy level (working breeds are high energy!) size, grooming, and any special needs of the dog. A dog's age plays an incredibly huge part in its overall behavior. If you're considering getting a puppy, make sure you or another member of your family has the time to play with and exercise the dog. Puppies are not great for households that are empty for 7+ hours of the day. If you want a dog that already knows how to be a dog, an adult or senior dog is a great choice, no matter the breed. Depending on the type of dog you choose, you can expect a considerable variance in how much they shed. If you have a home with carpets, this is less pronounced. However, if you have wood, tile or laminate floors and you have a dog that is a heavy shedder, you're going to notice pet hair covering your floor almost constantly. While some people may be drawn to the beauty of longhaired dogs like a husky or German Shepard, keep in mind that if you choose to adopt one of these breeds, you're also committing to brushing them daily. If you don't have carpet, you're still going to notice pet hair buildup no matter what. You're also going to likely have to invest in one of the best vacuums for wood floorsif you plan on keeping up with the high levels of fur. If you can't commit to cleaning up pet hair, some great dog breeds that either don't shed, or shed a minimal amount include the Tibetan Terrier, Maltese Terrier, Shih Tzu, Brussels Griffon, and all sizes of poodles. One of the most important factors when it comes to selecting a dog breed is its overall activity level. If you work an office job, you should always stay away from high energy working breedssuch as the various sheepdogs, Mastiffs, Siberian Huskies, and German Shepards. However, if you're home a lot and have time to commit to a working dog breed, owning one can be an incredibly rewarding experience. If you want a dog that you can train and give a job to, the following working dog breeds may be an excellent choice for you: Shetland Sheepdog, Dalmation, Russell Terrier, Siberian Husky, Golden Retriever, or Border Collie. The crucial last factor to consider when choosing a dog breed for your lifestyle is the dog's size. How big is your home? Do you have a fenced in yard where the dog can run? Do you have space for a proper kennel in your home? These are all factors to consider if you're thinking about getting a large dog. For most families with a decent sized home (3+ bedrooms), you can opt for either a large dog or a small dog. If you have an apartment or a townhome, you don't want to commit to a large dog breed such as a Labrador Retriever or Pitbull. Instead, if you don't have a lot of space, consider a smaller dog breed, such a french bulldog or Boston Terrier. Regardless of what dog breed you choose, you're committing to that dog the second you bring it into your home. If you're not ready to care for a dog and be its last owner, then you're not prepared for a dog. Choosing the right breed for your lifestyle can help ensure a good fit and a happy relationship with your and your dog for years to come. On Tuesday October 20th 2015 Governor Snyder signed into law Public Act 145. We have received a lot of questions regarding how this impacts people with existing service dogs. We wanted to create a post to answer some of the questions we receive. Public Act 145 is an act to help product disabled people who utilize a service dog to make everyday tasks easier. This law has required the Michigan Department of Civil Rights to enact a voluntary identification card for service animals. It also requires that the department receive reports of problems encountered by a person with a disability while using a service animal. To clear up any confusion between the new law and how it relates to the Americans with Disabilities Act let me explain. This new law does not impact you in anyway other than if you have a negative experience with ab business while utilizing your service dog. It's no secret that in the past few years the number of "fake" service dogs has sky rocketed which has caused problems for those that utilize a "real" service dog. Under the new law, there is a system which will help prevent any negative experiences, as it allows the government to sign-off on the validity of your animal. In addition to these benefits of the law there are also some additions that increase the consequences for using a fake service dog. You can read more about the bill by clicking here. We have received several requests for trainings outside of our immediate market. We have also received many clients who have found our website and utilize us for informational purposes only via phone or email. Our goal in 2016 was to impact more areas than West Michigan. So, today we are announcing a plan to help reach that goal. In the next few weeks we will be opening up a "schedule" for trainings. We will be picking 5 key cities in different regions spending 2 days in each city. We will have online booking available much like you see for concerts -- these slots will be limited to 10 per city. We will begin traveling to these cities on July 5th with the goal of helping folks create and restore relationships with their pets. Whether you have a new puppy or an older dog we will help set you up for success with a training plan to help accomplish your goals. Please stay tuned here and our Facebook for updates. Effective 3/7/2016 we became an authorized vendor for the Government. We have met all of their requirements and criteria and are now effectively in all of the various purchasing systems they use. 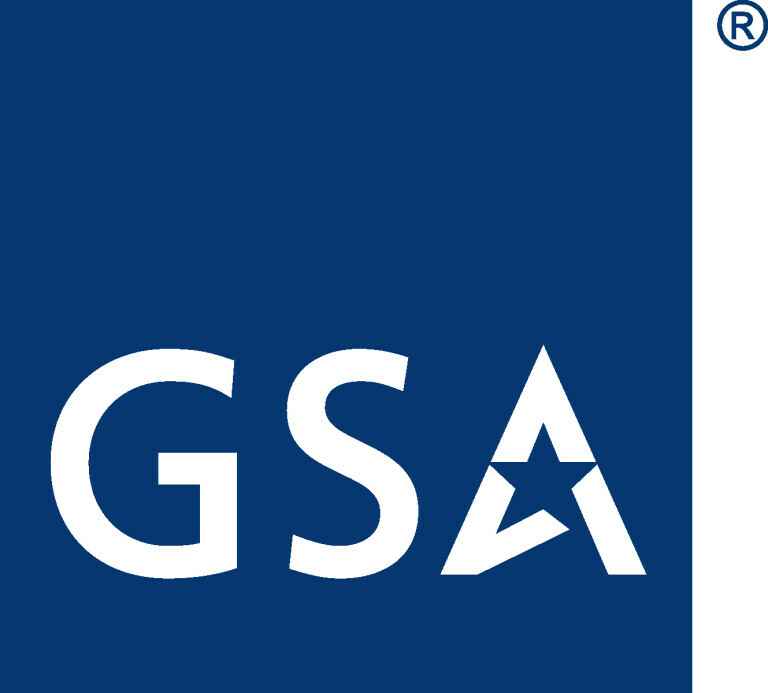 We are an available vendor for all government entities including Department of Defense, Department of Homeland Security, and any other entity that utilizes working canines and utilize the GSA / SAM.gov purchasing guidelines. This is a big deal for us and we could not be more thrilled. There are strict training requirements and performance standards that need to be met prior to becoming a vendor. We are pleased and humbled that we met those requirements. We believe that the impact on our day-to-day business will see minimal impact. Our goal is as it's always been and that is to continue going out on a daily basis to help restore relationships between dogs and their families. We believe that is our mission and what we are great at doing. It's what has allowed us to grow and continue growing and a high rate and we will never abandon this idea because at the core it's who we are as a company. We believe it means that we will continue growing at even a higher rate. We will share some big announcements when we are able. We have a lot of exciting things happening coming up and we can not wait to share them with our amazing clients! Click here for more information on our Government Purchasing Process. The Movie MAX PSA - Should I own a Belgian Malinois? Warner Brothers is releasing a new movie titled "Max". The movie is about a MWD (Military Working Dog) who is adopted by the handler's family after he passes away. Belgian Malinois is not what this movie depicts. Unfortunately, after OBL was killed by Seal Team 6, news broke that a Malinois was involved in the operation. This caused a lot of interest in the breed, which led to many families purchasing a dog. Since then, the number of "Malinois Rescues" has skyrocketed, as families were not prepared for the type of dog they purchased. The Malinois Breed is one of the most difficult breeds to raise in a home. PHOTO PROVIDED BY METROPOLITIAN CRIME COMMISSION NOPD K-9 vehicle where police dog Primo tore up inside of vehicle while trying to escape before dying of heat exhaustion. Any responsible breeder will not sell a Malinois as a family dog. If the breeder attempts to sell you a dog as a "great family dog" -- We can guarantee you that you're not speaking to a credible breeder. False. Partially. However, the genetics are so pronounced in this breed that you will find that your cute new 8 week old Malinois will show it's teeth and engage you if you were to do something such as discipline them for something. They are strong dogs with strong personalities, requiring a strong handler / owner. Due to the public interest in the breed in the past few years - there are more Malinois in rescue facilities now than every before. Please do not add to this list, we ask that you really do your research and make the right decision for the dog. We now have a place that we can publish our thoughts, views, training tips, and things that we find extraordinary. There is a debate in the "dog world" on e-collars. Some trainers are against it, some trainers are for it, some trainers use it exclusively. The arguments are so deep rooted, that when reading these sites with peoples opinions, it feels like politics. We believe in positive reinforcement. We approach every dog, especially puppies, with the idea they do not need the e-collar. If we are able to get to a puppy before it matures there is a very high probability that puppy will never need an e-collar as it grows old. There are trainers that will utilize an e-collar for every dog they train, some trainers requiring you to purchase an e-collar for their classes. We feel very strongly this is not the right approach. Personally, I would never utilize an E-Collar on a dog less than a year old. The reason why I wouldn't can only be answered by I can't think of a reason I would. As a puppy grows, you can create a strong foundation of trust and bond by working on obedience utilizing our "marker-training" and our learning plan. It creates a puppy that as he matures learns to not just respond to your commands, but to focus on how quickly he responds. When this is achieved, an e-collar is rarely needed. In summary, there is no right or wrong answer to the ever asked, "Should I use an E-Collar?". It should be treated as an individual question for each dog. The most important part to take away from this post -- if you have a puppy or young dog and you're thinking of using an e-collar or taking them to a training facility that requires the use of an e-collar, please give us a chance to evaluate and see if we agree.